it would be hard to imagine a more beautiful place. 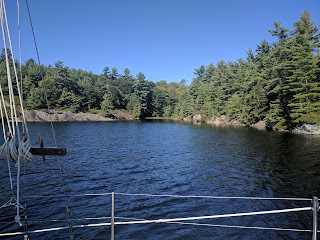 I had an awesome sail yesterday up the Georgian Bay to Perry Sound. I thought that I might have forgotten how to sail but it all came back. Its so quiet in this cove that the silence is deafening. There is a very good reason why They call this place the 30,000 islands. The only signs of life other than the huge pine trees and the fauna are some small birds and the occasional duck. The water is very clear and dark with the skies blue and also clear. I am the only boat in this small cove and there are no houses or residents other than the occasional mosquito. The cell reception is touch and go. It took me half an hour to upload that photo. At night the moon was full and the haunting echo of the loon travels such a long distance. I can see a faint glow from a solar garden light down the other end of the cove on an old dock with some outdoor furniture on it. Someone a long way away launches off some fireworks to celebrate the long weekend and break the silence. This is a great opportunity to catch up on my reading. 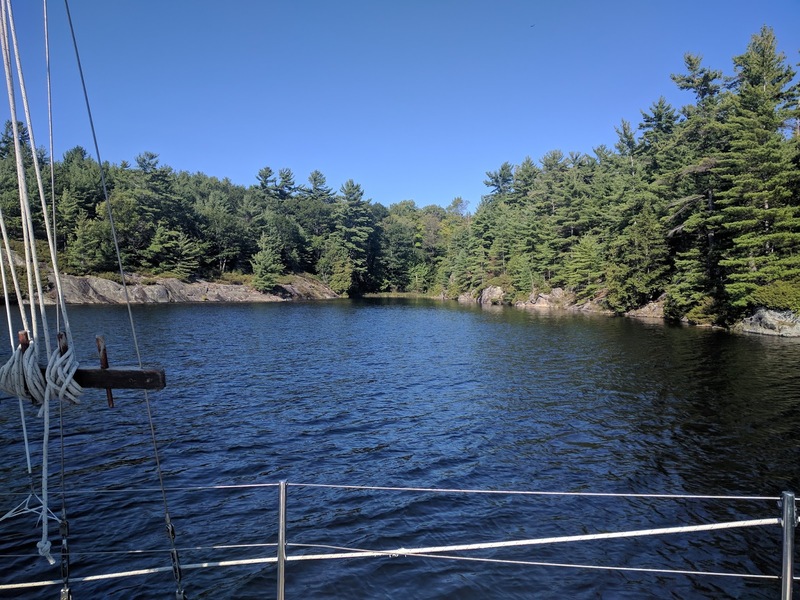 Today I will travel to the other side of Parry Sound and hunker down for a couple of nights while some awful weather passes through Monday.